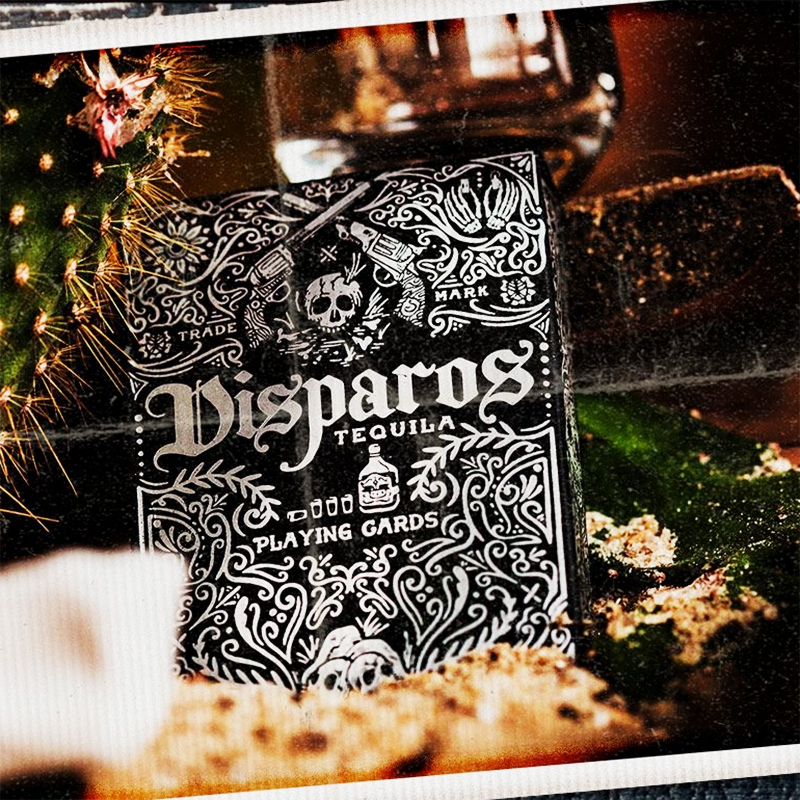 Disparos – Spanish for “shots” - is how tequila should be consumed. Taking insipration from the vaqueros and gunslingers of the Mexican old west, the tequila deck is a blackened piece of history. As the stand-out deck of the prohibition series, Disparos is back with re-modelled sugar skulls, duelling pistols and custom everything. The tuck box twists and turns through a desert of abandoned skulls and the guns that put them there. Salted with a silver foil finish… like the cold, un-repenting steel of a 44 magnum. Dusted with the details of a vast Mexican culture, the cards transport you guns-blazing to a traditional. It’s the kind of deck you’d expect to find laying around on a three-legged wood table, stained from the drinks of last nights card game. This is a game without true winners. Some live, some lose. The jet black tones against the white flase-edge border gives these cards a sinister look. Perfectly complimented with that crushed-stock feel that you’ve come to expect from Ellusionist. These are shots of Tequila you won’t regret in the morning. Line ‘em up and knock ‘em down. • Ellusionist quality. • Printed on crushed stock. • The cards are poker size.